Royal Caribbean is now being impacted by Tropical Storm Florence which is expected to become a Hurricane once again. So far only one ship in the fleet has altered itinerary. 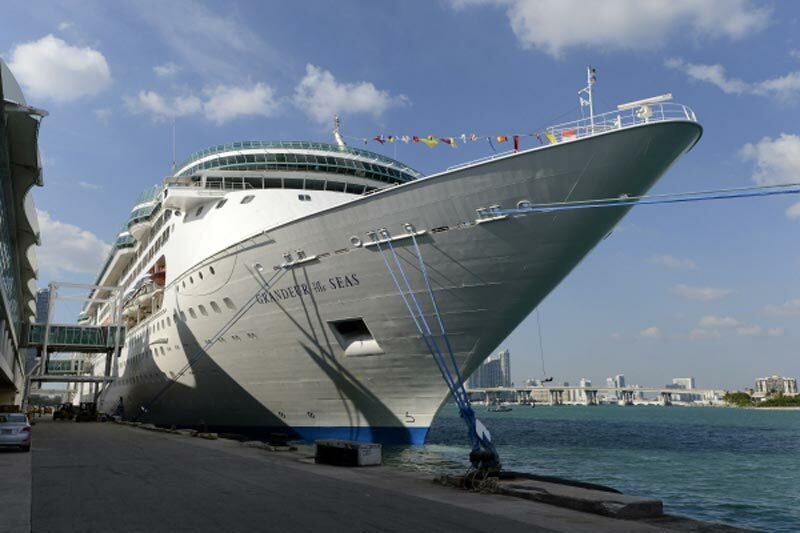 Grandeur of the Seas is the first Royal Caribbean cruise ship which is being impacted by Tropical Storm Florence in the Atlantic. Chief fleet Meteorologist has said that the ship’s September 8 sailing from Baltimore will no longer sail to Kings Wharf, Bermuda. Instead of a 5-night Bermuda cruise, the ship will sail to Nassau, Bahamas. The new itinerary will include an overnight at the popular port of call. The change was made to keep guests and crew safe and far away from any potential storm or Hurricane impact along the U.S. east coast. Grandeur of the Seas is not the only ship affected by Florence. Earlier we already posted about two Norwegian Cruise Line ships canceling calls to Bermuda. There is also activity in the Pacific and NCL is keeping a close eye Hurricane Olivia’s impact to Pride of America in Hawaii. According to the National Hurricane Center (NOAA), the storm is expected to become a Hurricane once again through the weekend. 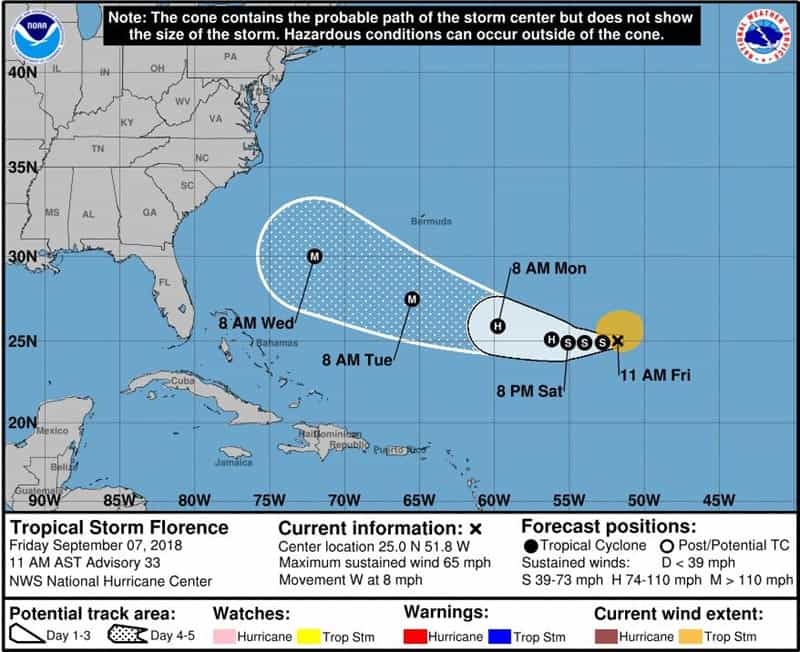 Florence is heading towards Bermuda but just south and not directly. The storm has maximum sustained winds of 65 mph and will also start affecting the U.S. east coast with high swells later on Friday. If you do have an upcoming cruise do double check with the cruise line and follow them for live updates. Right now there are more storms brewing in the Atlantic, let’s hope they stay away from the Caribbean and U.S. this year.